Your dress is probably the most important part of your big day (other than marrying the love of your life). Don’t let the stress of finding the perfect dress get to you and make you crazy. 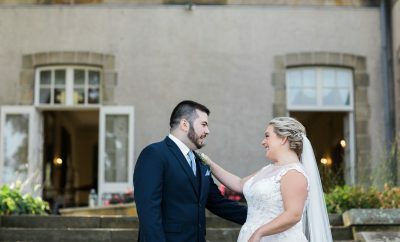 Take a look at some bridal shops in and around Newport County that offer unique, custom dresses and you will be guaranteed to find the dress you’ve been dreaming of! Candice Wu Couture offers stylish, high quality and reasonable priced dresses that are made to order, guaranteeing you find the perfect fit. 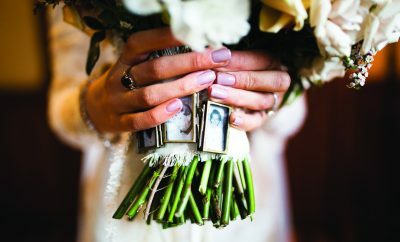 Many of the designs are convertible, functional, and accented with beading and Swarovski crystal accents, perfect for any bride’s unique style. Searching for the perfect accessory to accompany your dress? Jason Carbonneau of Jason & Co has been adding sparkle to his clients’ lives for more than a decade. From necklaces, to wedding bands, and earrings, you will be sure to find something you love! Don’t forget about the groom! Jos. A Banks is the expert in men’s apparel and formal wear and offer the option of renting or buying a tux. The groom and his groomsmen will not be disappointed with the quality of the tuxes and the service of the sales team.